These brownies takes minutes to make and the brown sugar give it an unusual and rich, crunchy taste. Melt butter or margarine and chocolate together in a large saucepan. Remove from heat and stir in remaining ingredients. Pour into a greased 8 inch square pan. Bake at 350 degrees for 25-30 minutes. Cool and cut into squares. As a variation, you can cut the pecans in half, put them on the bottom of the pan and pour the batter over them. When you take the brownies out, the pecans will give the brownies a decorative touch. Categories: Uncategorized | Tags: brownies, double rich brownies, parve | Permalink. 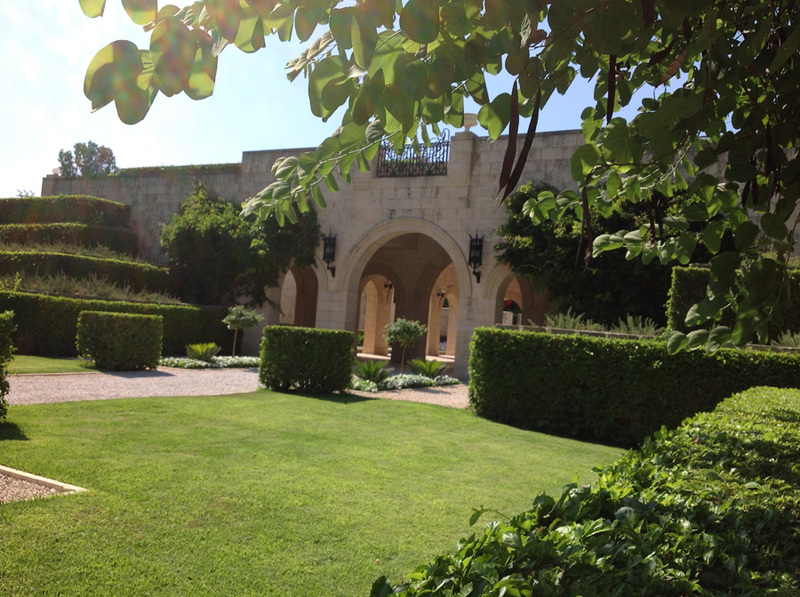 The Gardens in Haifa are deservedly better known. They regally step up the mountain side, with measured plateaus boasting gurgling fountains and beautiful walkways. They are far more grandiose and opulent. 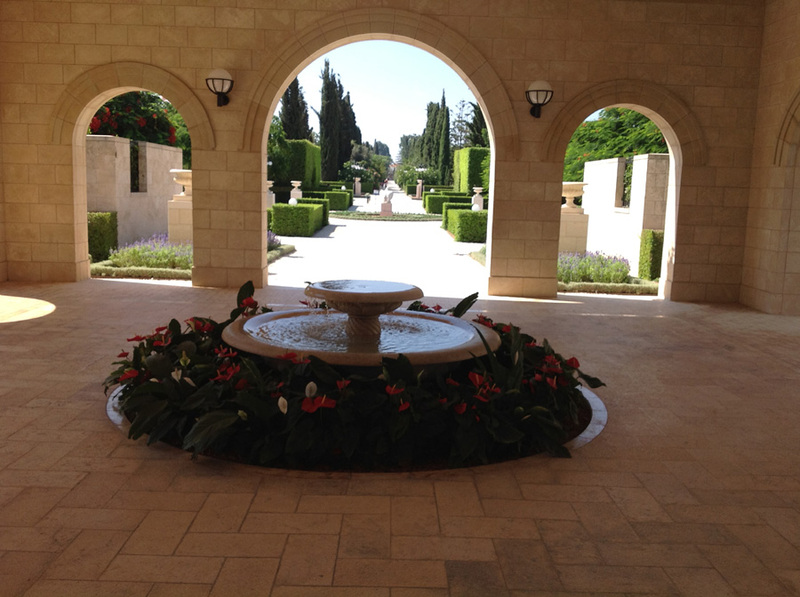 That said, a visit to the “other” Bahai Gardens in Akko are definitely worth it. 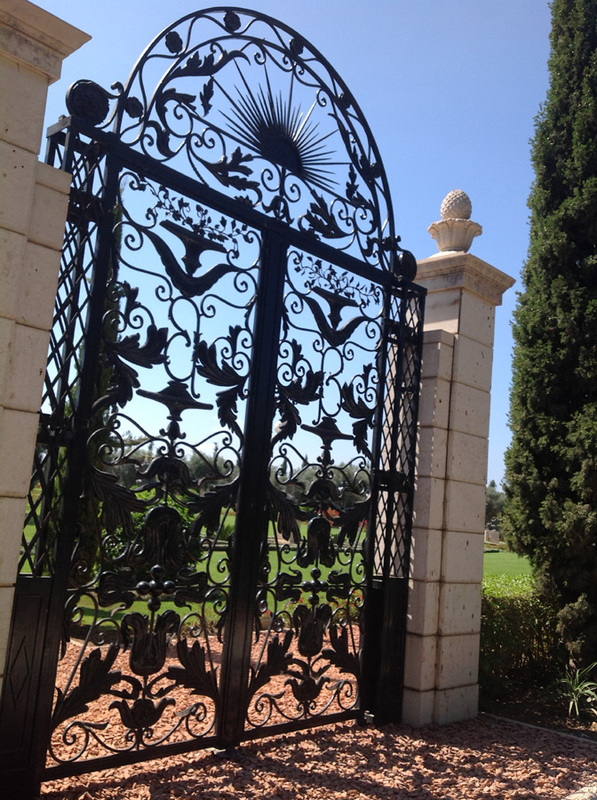 The Akko Bahai Gardens (which are really between Akko and Naharyia, are flat and straight forward. 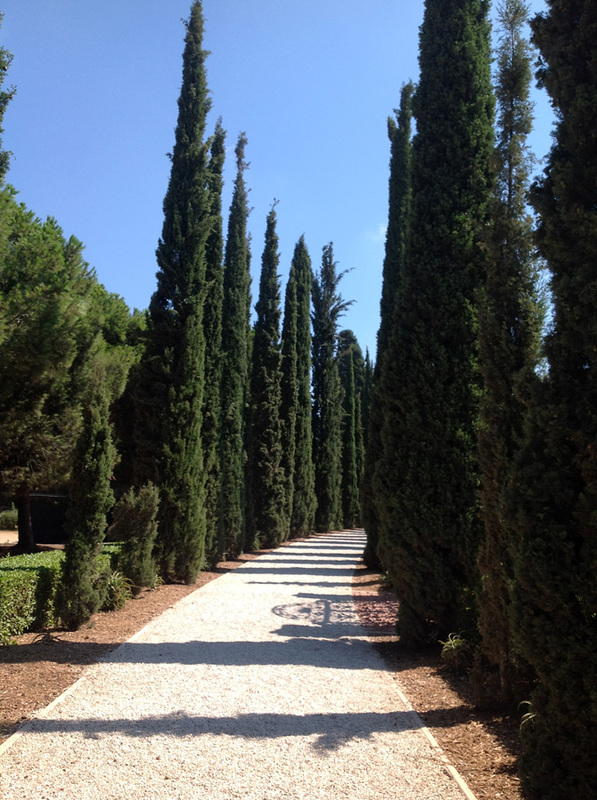 Visitors have more access because other than the rule of staying on the walkways, you are allowed to walk through the entire garden, whereas the Haifa gardens allow entry only on the plateaus. Along the walkway are flowering shrubs. 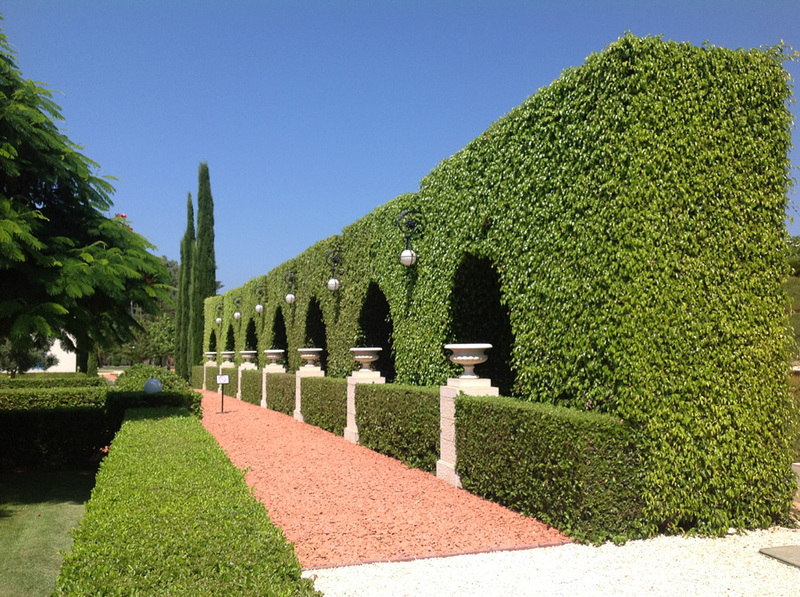 The shrine is a rectangular building constructed around a tree-lined, plant filled, courtyard. On three sides are prayer rooms with lush carpets over rattan on the floors and narrow, smaller carpets on the walls. 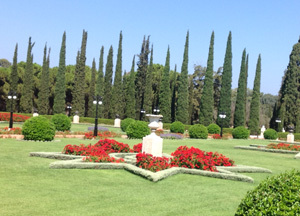 The hushed atmosphere is reinforced by the Bahai Garden policies: take your shoes off before coming inside, do not speak and turn off your cell phones. The visitors to the Gardens were as interesting a mix as the flowers. There were Arabs, the men dressed in American style clothing (jeans and a polo) and the women in tight jeans, fitted tops, and head coverings; there were Americans (one young lady brought two large scarves with her–one to cover her legs and one her shoulders), and a young Israeli couple, obviously in love and oblivious to everyone else. On the way back to the bus stop I saw a lone Israeli soldier going to see the site. He was in his early twenties and was reading the newspaper as he walked. 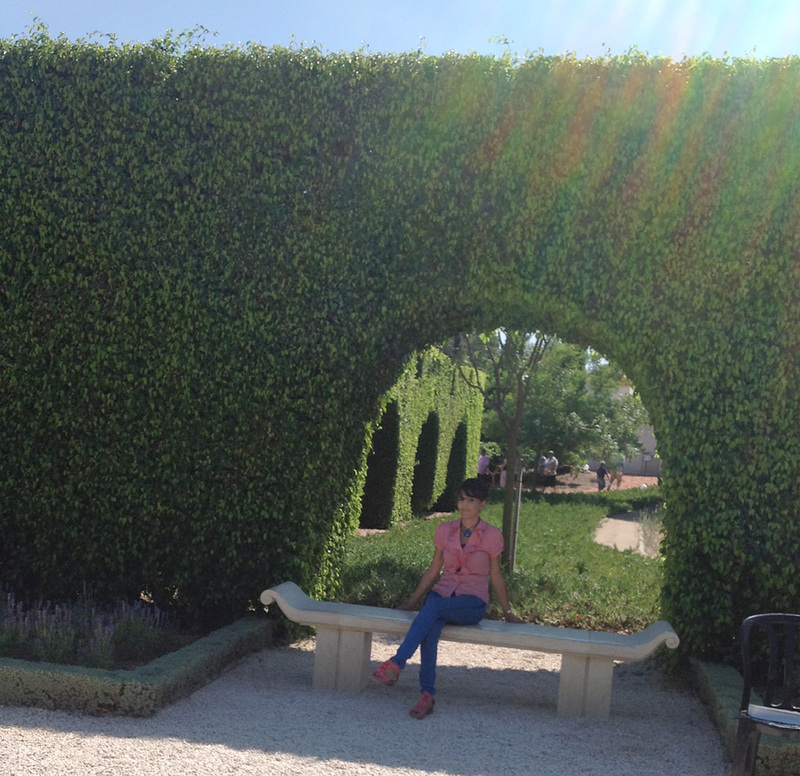 The quietness of the garden, the aura and aroma of the flowers, and the variety of people there, radiated the thoughts that beauty and peace are a remarkable and desired state of mind to obtain on the visit and to retain upon your return to the real world. 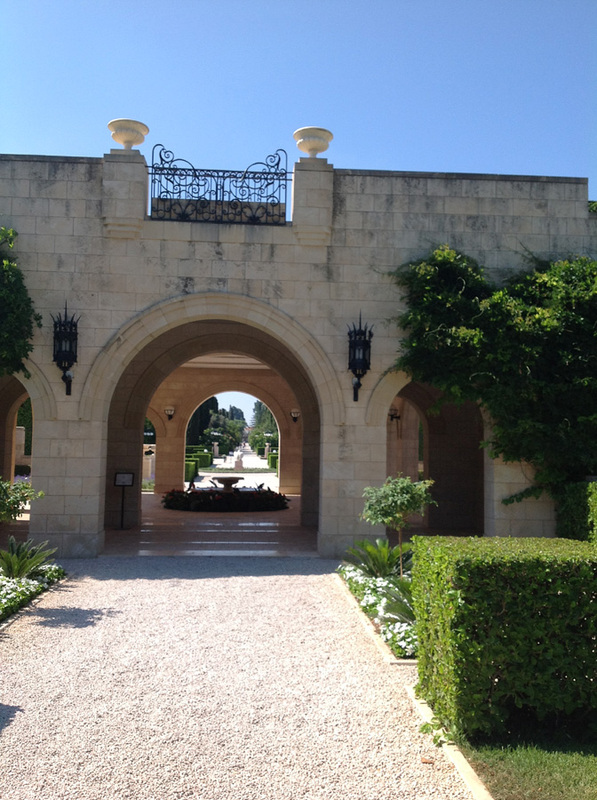 Categories: Travel, Uncategorized | Tags: Akko, Bahai Gardens, gardens, Haifa | Permalink. This promised article will have to wait until Wednesday. Sorry folks. Mix well, and knead until incorporated. Place in a warm spot with a towel over the bowl. Cover in a sealed plastic garbage bag. Let rest for 1 hour. Punch down. Replace the towel and place back in the garbage bag, placing in a warm spot for 30 minutes. Punch down. Replace the towel and place back in garbage bag, placing in a warm spot for 30 minutes. Punch down. 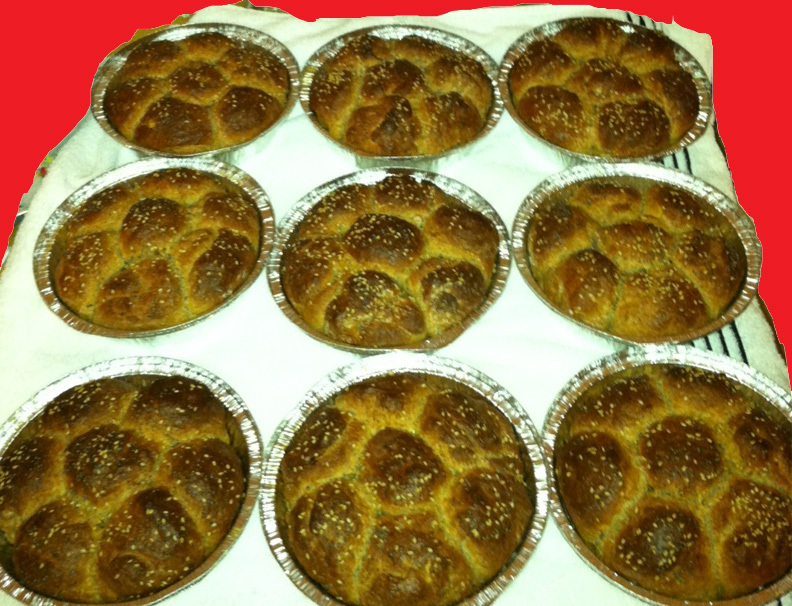 Take challah with the bracha. Use 10 7″ round tins. Using a 1/4 c measure to measure the dough, make round balls from the dough, squeezing out the air bubbles. Place one ball in the center of the pan. Place 6 balls around it. It should make 9 tins. There will be some leftover dough. Place that in a shape in the tenth tin. Mix the cool water with one beaten egg. Brush over the bread. (to do this I use a sandwich bag over my hand dipped in the egg mixture) Sprinkle with seasame seed and poppy seeds. Place tins into hot oven for about 40 minutes.